Natural & organic, Safe, long lasting antler dog chews … better then rawhide bones or any other chew on the market! Have you heard of our antler dog chews? Its the best dog chew on the market! 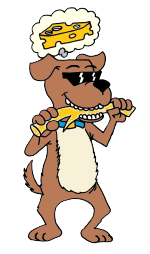 Buy the number one antler dog chew on the market direct from the company that started it all! Are you constantly buying an endless supply of dog treats? Is your puppy/dog chewing on anything & everything? We have the solution, antler dog chews. Better than rawhide bones! Way better than nylon bones! Better than any other chew on the market! The long lasting, safe, teeth whitening, 100% all natural, no dyes, no preservatives, no additives, allergy free, organic taste great dog treat that most dogs will go nuts for! Antler dog chews are especially great for puppies, aggressive chewers, and larger dogs. Also a miracle for dogs with allergies!! <——- CLICK THE LINKS ON THE LEFT!!! 5436 GRATEFUL TREES HAVE BEEN PLANTED SO FAR!! 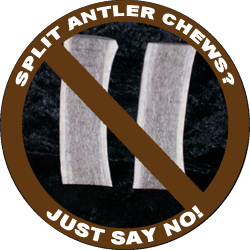 Split chews break down different than whole antler chews and they can leave a nasty edge! They also only last 1/2 as long as whole antler chews! Don’t fall for the split chew scam! Your Pup will thank you! WE NOW CARRY HIMALAYAN CHEWS! MADE IN THE USA! THANK YOU FOR SUPPORTING AN ALL AMERICAN COMPANY! Have a tree planted in your name and your dogs name:Grateful Shed Tree Contest! Try our Cheetlers – the original cheese flavored antler! NOTE: No animals were harmed in producing these dog treats. These animals shed their antlers naturally! The antler dog chews you purchase from us today the Elk,Deer and Moose that supplied them are still running around re-growing more of one of natures most incredible renewable resources for your dogs to enjoy time and time again! Grateful shed antler chews is the original antler chew company! Try them once and your dog will be a shedhead for life! THESE DOG TREATS ARE ADDICTIVE!!! These antler dog chews will give your dog hours of enjoyment, and can keep your dog from chewing furniture, toys, shoes, etc. WARNING: Once the antler has become small enough for your dog to swallow whole, you will need to remove, replace, discard or recycle it and give it to a smaller dog! Antler Chews: Grateful Shed Antler Chews is the #1 antler dog chew in the world! The best doggone Safe 100% organic,All natural, paw licking treat! Order some today, your dog will love you! *** IF YOU HAVE ORDERED BEFORE JUST EMAIL TO RE-ORDER AND LET IS KNOW IF YOU USED A CC OR PAYPAL. ANTLERCHEWS4U@HOTMAIL.COM Our shop is open Monday – Friday 8am – 4 pm Mountain time. 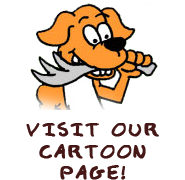 208-522-1232 NOTE: Please let us know how much your dog weighs the breed and what type of chewer He or She is.. light,moderate, aggressive or insane! For shipping estimates, please include your zip/postal code. We can take credit card orders over the phone or if you want to use PayPal just email us with your order and PayPal address and we will send you an invoice! If you are re-ordering and you have used a credit card in the past just send us an email with your full name to re-order unless your card has expired. We are closed on the weekends. If its after hours just shoot us an email If no one answers when you call, please leave us a message and we will get back to you as soon as we can. If its hard for you to reach us during our business hours, email or leave us a message with your phone number and the time that’s best for you for us to call you back at! Thank you for supporting an all American company! A GRATEFUL DOG IS A HAPPY DOG!